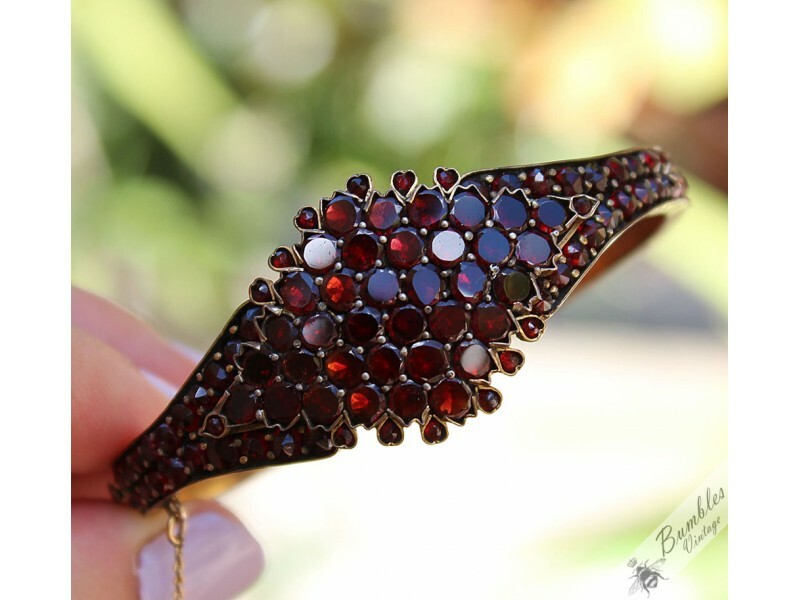 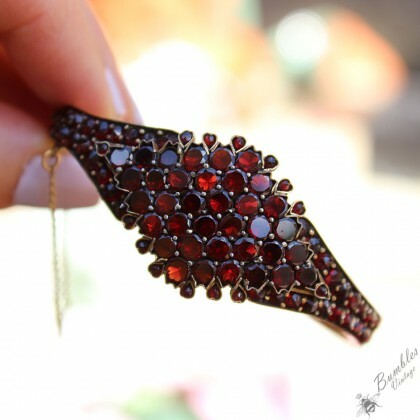 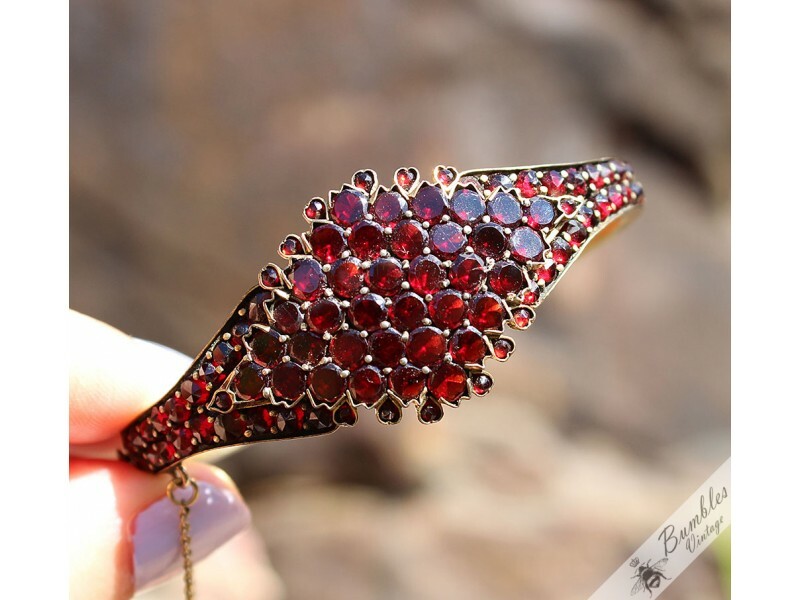 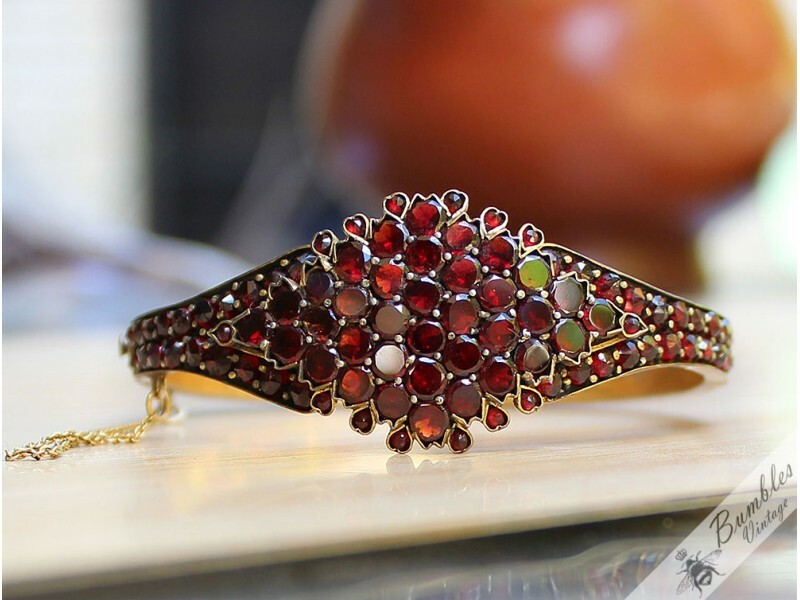 Beautiful deep red, natural Bohemian garnets.The cluster is surrounded by garnets bezel set in the adorable shape of love hearts. 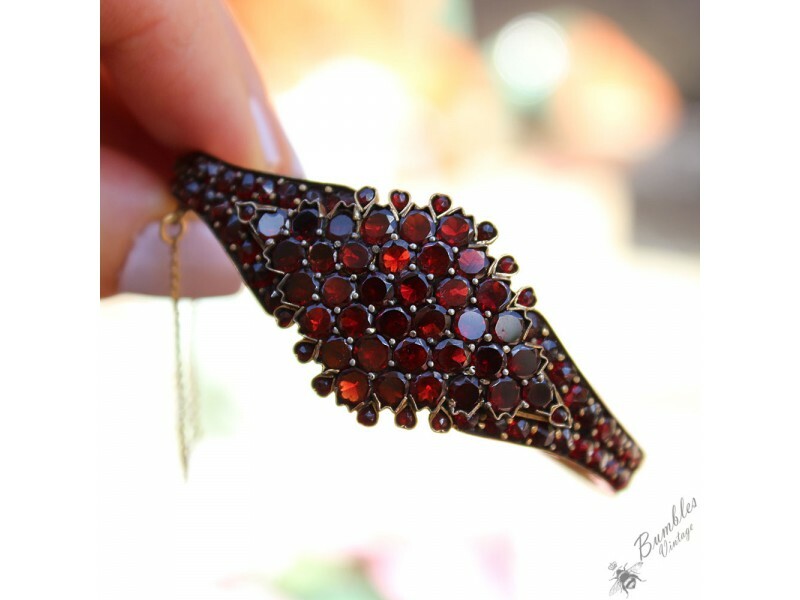 The cluster is set with table top cut garnets, which makes it highly reflective and blingy. 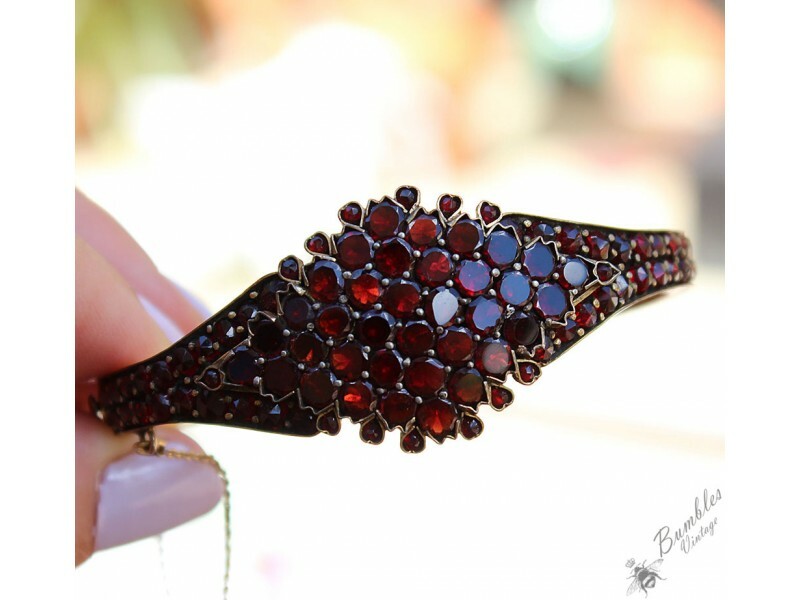 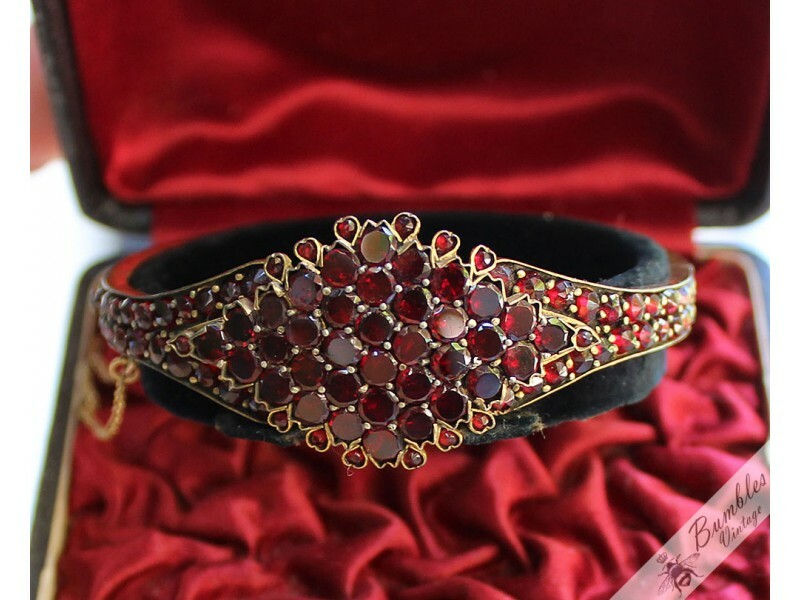 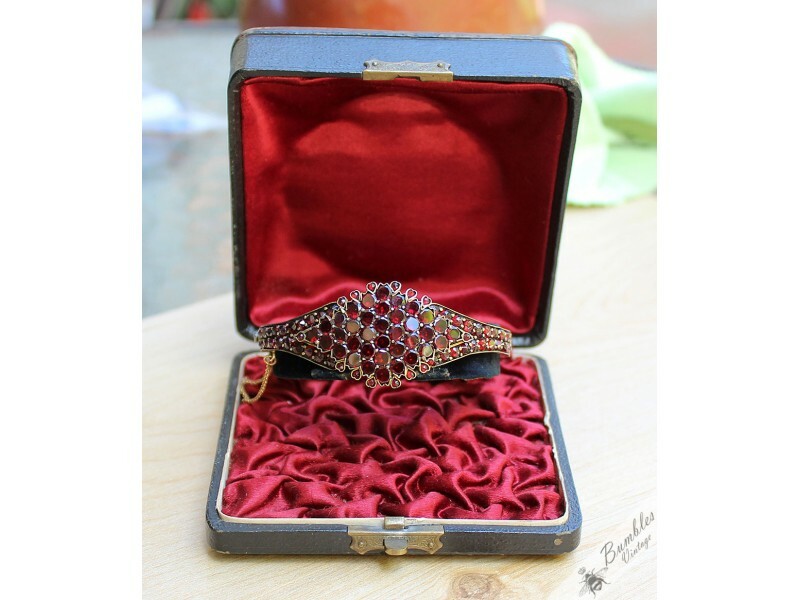 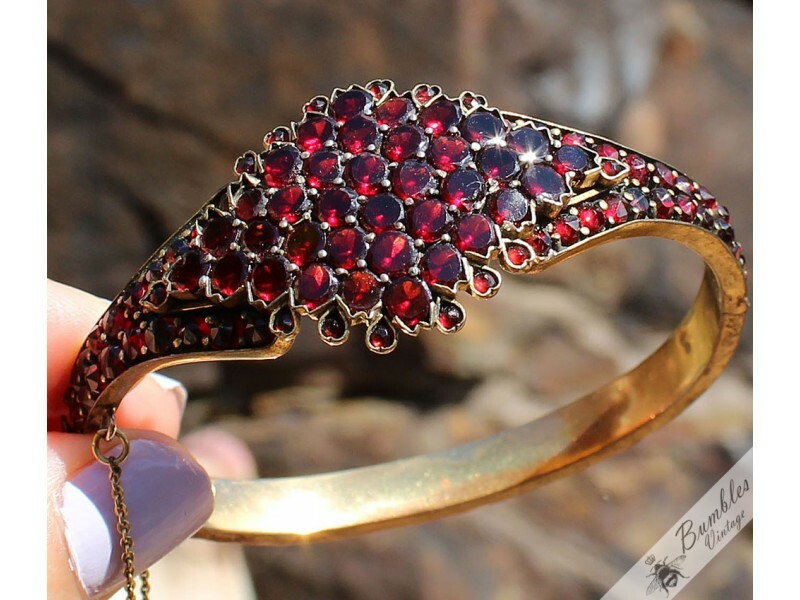 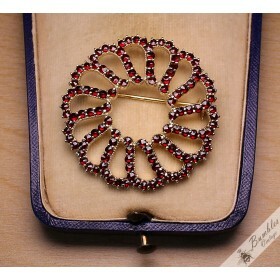 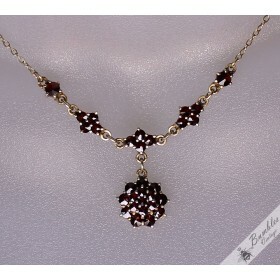 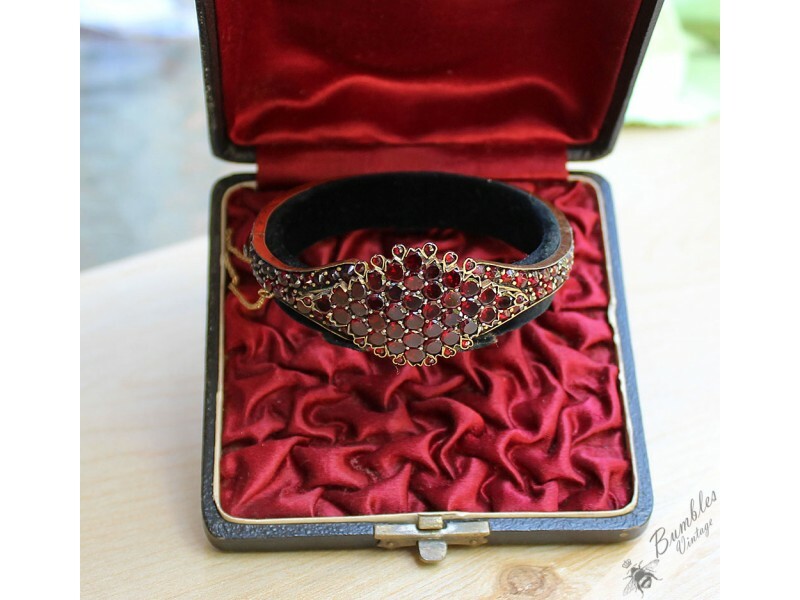 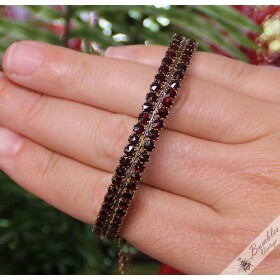 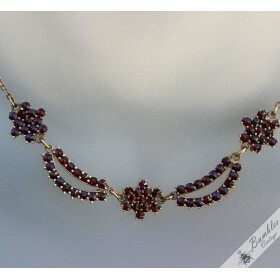 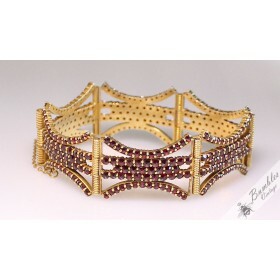 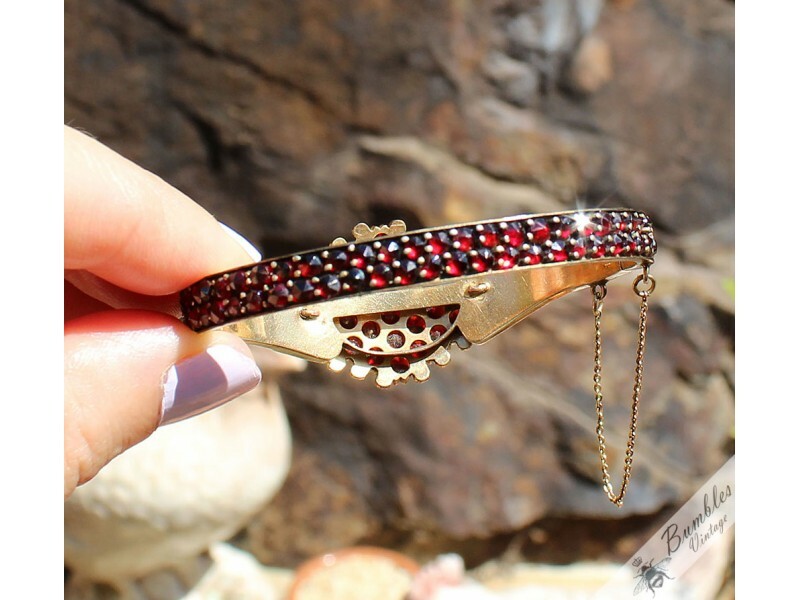 The rest of the bracelet is set with rose cut garnets. 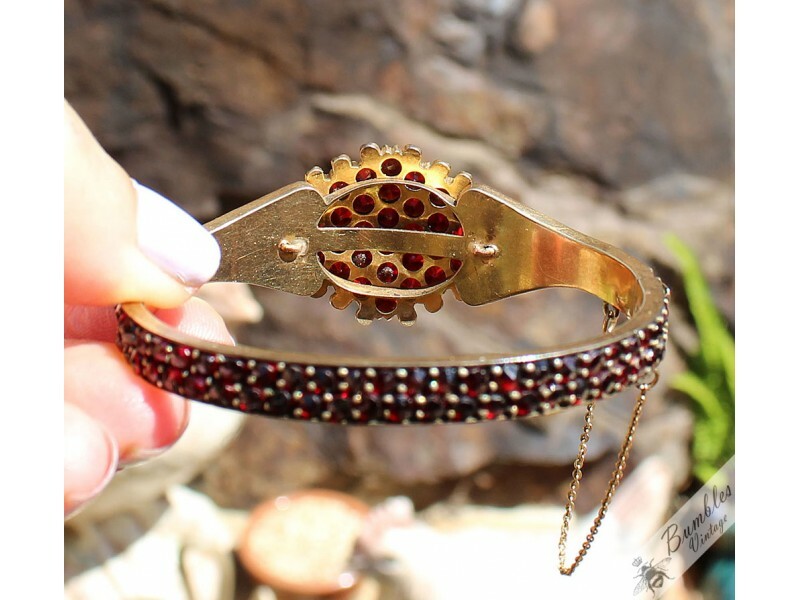 The material is typically tombak (a brass-like metal), with patina. 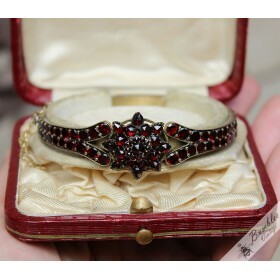 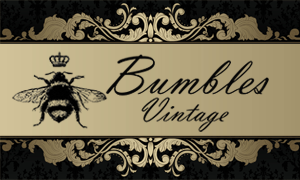 The clasp and hinge are in very good working condition.